From pumpkin pie to pumpkin soup, many autumn favorites are loaded with dairy ingredients, which makes celebrating the food of fall festivities more challenging for those with allergies or dairy intolerances. If you're allergic to dairy, lactose intolerant, vegan, or just trying to cut down on your dairy intake, you'll love this collection of pumpkin recipes, all of which are 100% dairy-free, and some of which are vegan. This easy dairy-free pumpkin pie recipe is perfect for people with allergies to dairy ingredients but who are not averse to consuming eggs. This basic dairy-free pie dough recipe is an excellent crust for dairy-free pumpkin pies, but if you prefer using one with olive oil instead of soy margarine, try this easy oil pie crust (substituting the milk for water). This rich and creamy vegan pumpkin pudding is dairy-free and surprisingly easy to make. Bundt cakes are impressive, rich desserts that are actually very simple to prepare. Although most bundt cake recipes call for butter, milk, and eggs, this vegan chocolate pumpkin bundt cake version of the fall favorite is not only dairy-free but vegan, too. Going dairy-free doesn't mean that you have to miss out on the decadent creaminess of cheesecake. 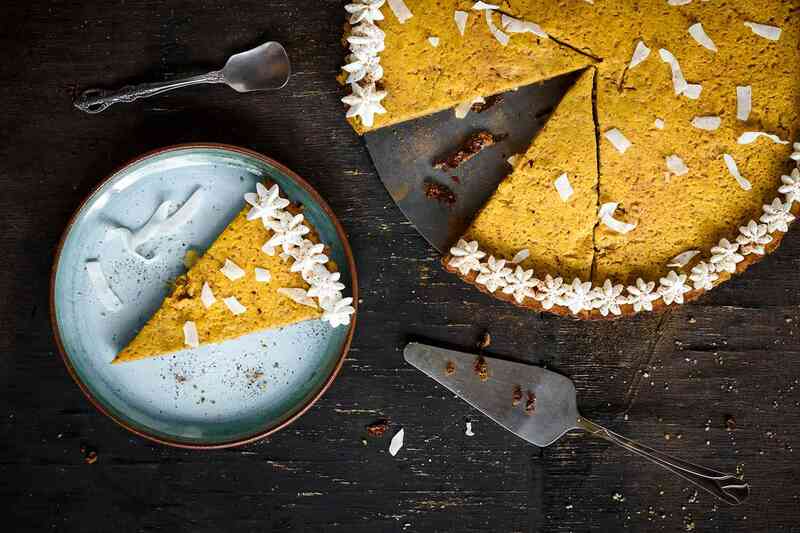 Add a little pumpkin flavor to tofu cheesecake with this vegan pumpkin cheesecake recipe. This vegan pumpkin bread is not only deliciously pumpkiny, but it's also fat-free. It makes a great sweet treat or a special snack. During the fall and winter months, there are few things as comforting as a bowl of savory-sweet pumpkin soup.​ Served with dairy-free crackers or bread, this hearty dairy-free pumpkin soup is a warming meal for lunch or dinner. Adding a bit of cayenne pepper or chili powder adds a nice kick of spice to this creamy harvest soup. What Are Some Tasty, Dairy-Free Desserts for Kids?